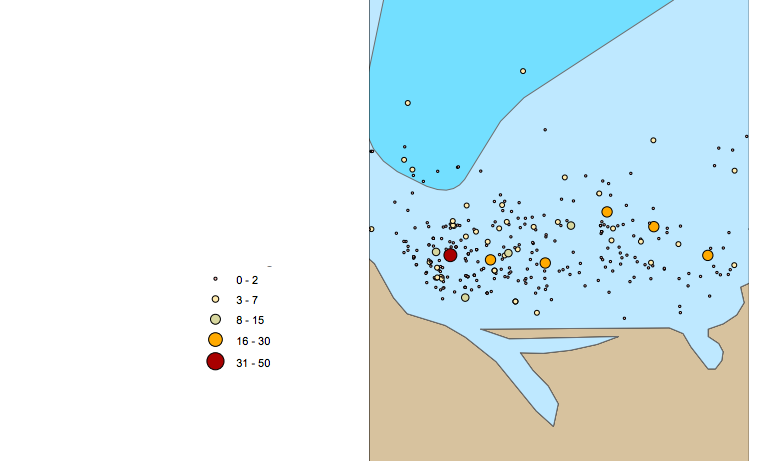 Recently I was invited by Jake Levenson and the folks over at Conserve.io to help analyze spatial and quantitative data for a project by entitled “Conservation in the Cloud: Leveraging mobile technology connecting tourism & resource managers.” The plots that I contributed use data from their application to reflect real time whale sightings in two embayments in Iceland, as well as recorded behaviors of these marine mammals. The Conserve.io technology and application is not my baby, so I won’t go into it other than to say it is an amazing high-tech solution and opportunity for citizen scientists to monitor local marine mammal populations, and that you can read more about their work here. 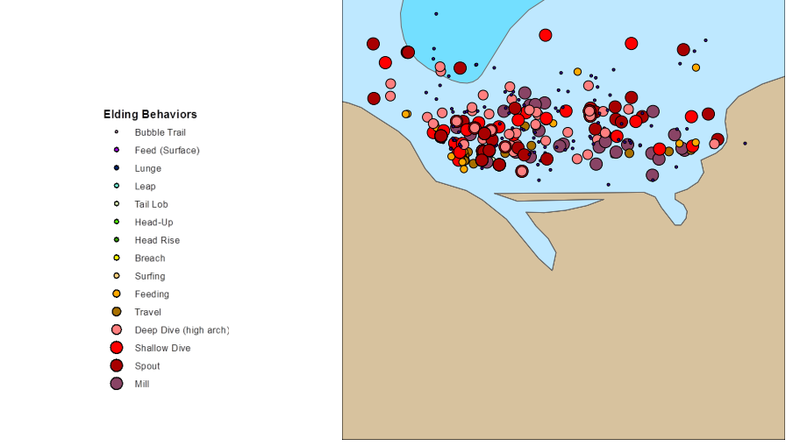 Instead, I wanted to showcase a few of the plots I made using Spotter App’s data, as it was also featured in Jake’s talk at the IMCC3 Conference in summer of 2014 (of which I am a co-author). The slides can be viewed on this website under the Conferences Header on the Homepage. Thanks to Jake and Conserve.io for inviting me onto the project. 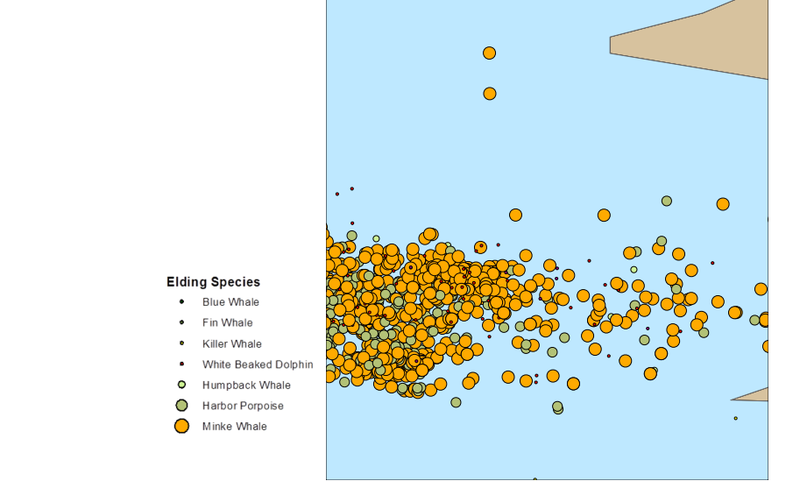 Now onto the whale plots. 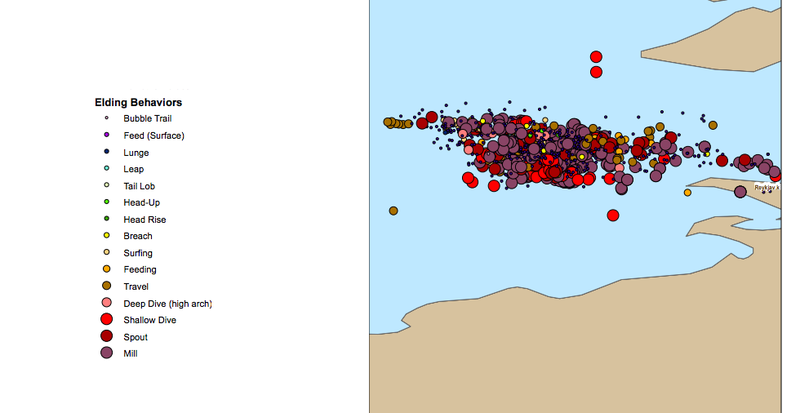 This first plot was made in an effort to decide if we should create plots normalized by unit effort, but since effort (which I decided to quantify by hours at sea that their application recorded) was so tightly clustered, this didn’t really tell us much in the end. 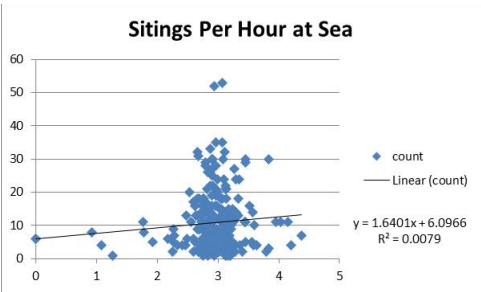 This is the same normalized data reflecting unit effort, but made in R and with a Lowess line to further demonstrate that this normalization would make more sense if trip lengths varied more. 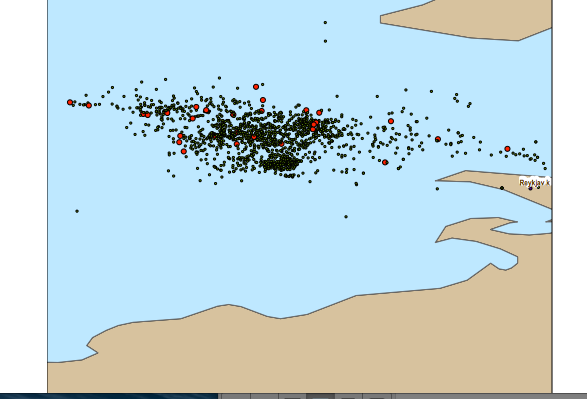 Thanks to Iain Dunning for helping me re-format some messy real time data. 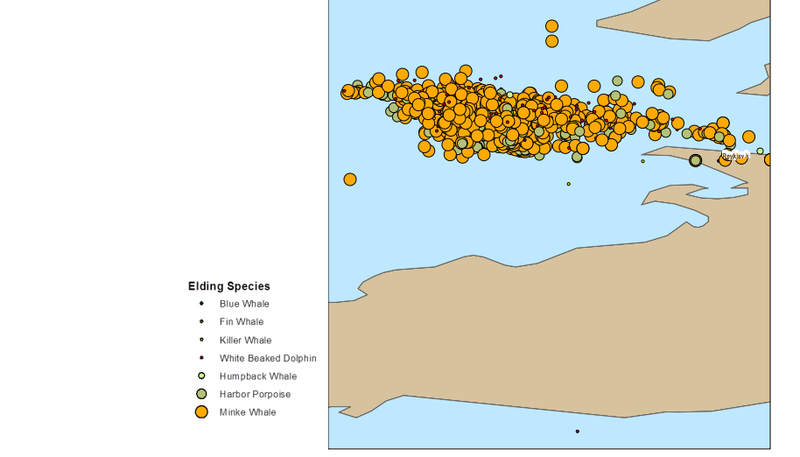 The following image is all of the whale sightings broken down by species in this one particular embayment in Northern Iceland. 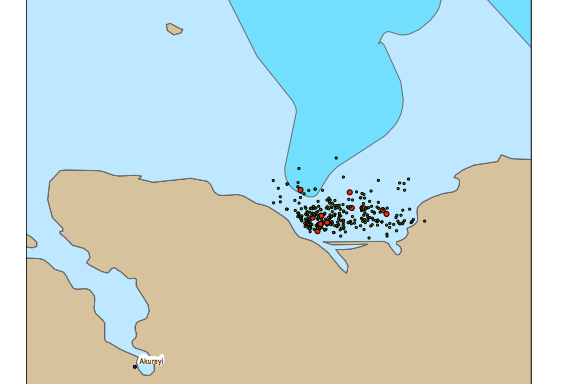 The next plot shows species, but with data points adjusted by percentage that species gets sighted across all trips. Again, if you liked what you saw here, go and check out Conserve.io! 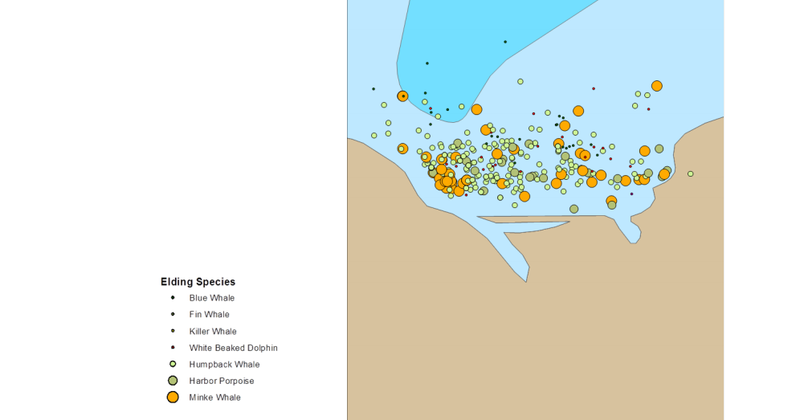 This entry was posted in Analytics and Statistics, GIS and tagged citizen science, GIS, IMCC3, spatial ecology data, Whales. Bookmark the permalink.